This post is about the “white hat ethical content marketing” technique that’s a shade lighter than the old “oh, did we accidentally 301 that to a valuable page?” switcheroo. Many sites do this already, and some agencies recommend it for their clients (and I have mixed feelings about this). Currently I wouldn’t say it’s risky, but you shouldn’t listen to me. “Link Anchors” (not anchor text), are those things that let you jump around annoyingly like this. People often use them to divide longform articles into more manageable chapters. This makes sense. It’s believed that Google only values up to the hash symbol when assessing links to a page. Boringinsurance.com have a boring website. To spice things up, they’ve decided to “newsjack” a story about a mauled princess to rank higher for ‘insurance’. 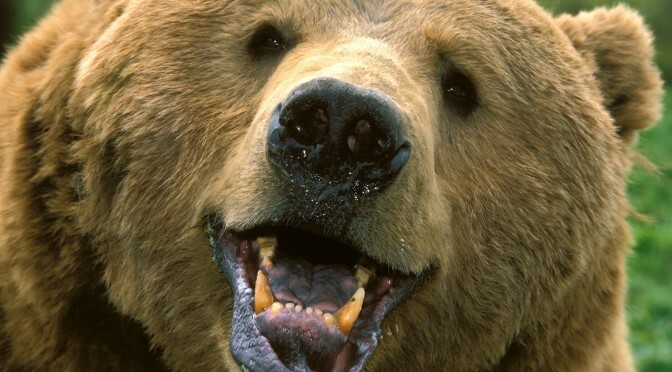 In preparation to launch the updated page section about Bear attacks and bear insurance and all sorts of great if-you-don’t-build-it-they-won’t-come content, the boringinsurance.com team gets in contact with lots of journalists about the awesome data they’ve found, sending them to http://boringinsurance.com/insurance/#bearinsurance. This whole example is clearly oversimplification. 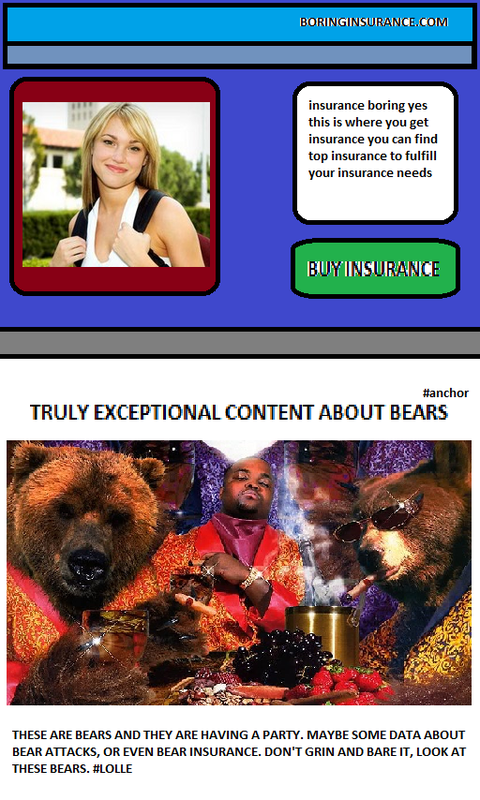 The media goes wild, as a bear has recently attacked a minor european princess, and the links to http://boringinsurance.com/insurance/#bearinsurance start to pour in. While a normal SEO team might have put up a boringinsurance.com/bear-insurance/ page, and got all the links to that destination, through their masterstroke the truly exceptional SEO team at boringinsurance.com have gotten all those incoming links (and more importantly, their equity) to the exceptionally boring insurance page (boringinsurance.com/insurance/). Rankings for ‘insurance’ soar, and the team is joyous. So, should I or shouldn’t I do this? If the majority of external links pointing to a page are directed at an anchored variant of the URL, does that look natural? I’m not saying that this doesn’t work right now, it just may get dinged a little down the line. I think it would be pretty easy to algorithmically ding. If you do this, I’d recommend keeping your Social buttons sharing the #anchor URL, otherwise you’re going to have many confused people. I’d also recommend putting an anchor link button above the fold (“check out our bear content here”). I’ve got some nice variants that make this idea much more powerful (and less risky), but you’ll have to speak to me in person/ or on email if you want to hear them. Have you done this? Would you do it?